Davina, Gary Lineker, Claudia Winkleman, David Walliams, Greg James and Alesha Dixon host as a stellar line-up of sport and entertainment stars bring you guys an unmissable evening of entertainment broadcast live from Queen Elizabeth Olympic Park on Friday 18th March. Highlights on the night will include some very special one-off sketches all in aid of Sport Relief, including David Walliams bringing back popular Little Britain character, Emily Howard for a sketch with comedian Micky Flanagan and Stoke City striker Peter Crouch as you’ve never seen him before! The Night of TV itself will be presented from the Copper Box Arena by some of the best loved names in sport and entertainment including Davina, John Bishop, Alesha Dixon, Greg James, Gary Lineker, David Walliams and Claudia Winkleman. Other sketch highlights include Jack Whitehall enlisting the help of Gareth Bale in a bid for English football glory at the Euros this summer. Plus a one-off Luther special as Idris Elba stars alongside Lenny Henry and a whole host of sports stars including Rio Ferdinand, Denise Lewis, Louis Smith, Ian Wright and David Haye. And returning to the role after nearly 40 years, Michael Crawford will don his beret as the disaster prone Frank Spencer in an exclusive Some Mothers Do Ave ‘Em sketch with Michele Dotrice and cameos including Sir Bradley Wiggins. Throughout the night viewers will be treated to live events from LeeValley Velopark and Aquatics Centre as Sir Steve Redgrave and Andrew ‘Freddie’ Flintoff captain two teams of celebrities in a return of the Clash of the Titans competition hosted by Dan Walker and Ore Oduba. Audiences at both arenas will be treated to a thrilling contest across five events including – rhythmic gymnastics, elimination cycling, synchronised swimming, and, for the first time, wrestling and triathlon. It is set to be must-see TV as Paddy McGuiness and Harry Judd go head-to-head in a wrestling spectacular, Russell Kane and Will Young don nose pegs for synchronised swimming routines and Freddie Flintoff and Darren Gough have their twirling batons at the ready as they take to the floor for rhythmic gymnastics. During the evening Jo Brand and Greg James will re-live their outstanding fundraising challenges, whilst Eddie Izzard nears the climax of his epic 27 day Marathon Man endeavour in South Africa. Not forgetting the six brave celebrities, Alex Jones, Hal Cruttenden, Ore Oduba, Angellica Bell, Doon Mackichan and Suzi Perry that sailed around the UK in 5 days battling fearsome winds, freezing temperatures and rough seas, in a feat of pure physical, mental and emotional endurance. There's also live music from Birdy and the official Sport Relief 2016 single performed by James Bay and we find out exactly where the money raised by Sport Relief goes. Powerful reminders of the serious side of Sport Relief will be shown throughout the night with moving appeal films, presented by the likes of Danny Dyer, Marvin and Rochelle Humes and Olivia Coleman, showing how the money raised could help change lives both here in the UK and around the world. 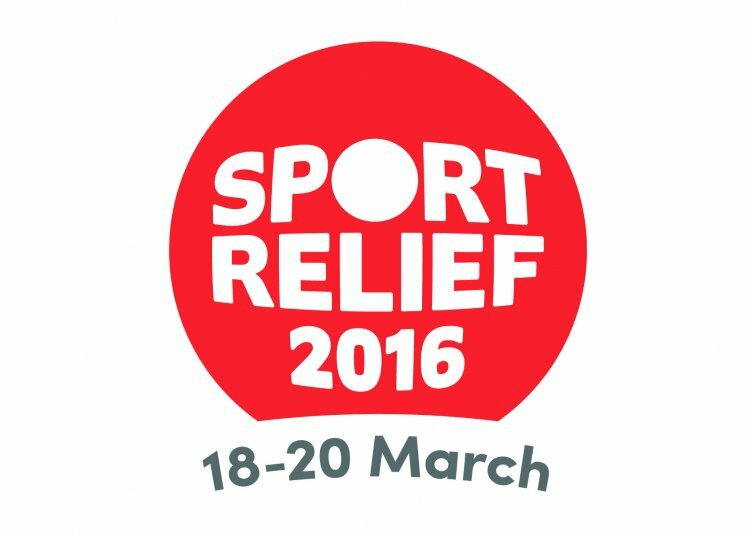 Sport Relief Night of TV Friday 18th March, 7pm, BBC One. Find out more about the causes and how you can donate.You'll be doing something really incredible. Thank you.